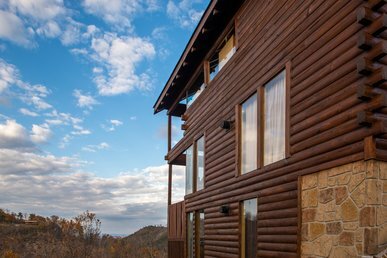 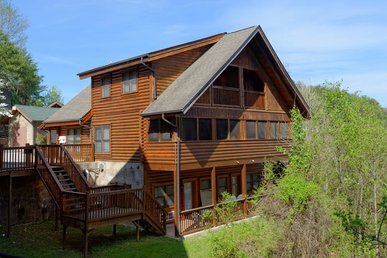 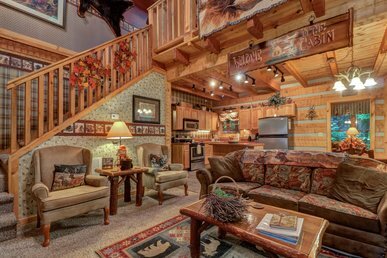 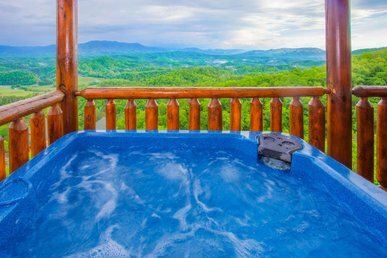 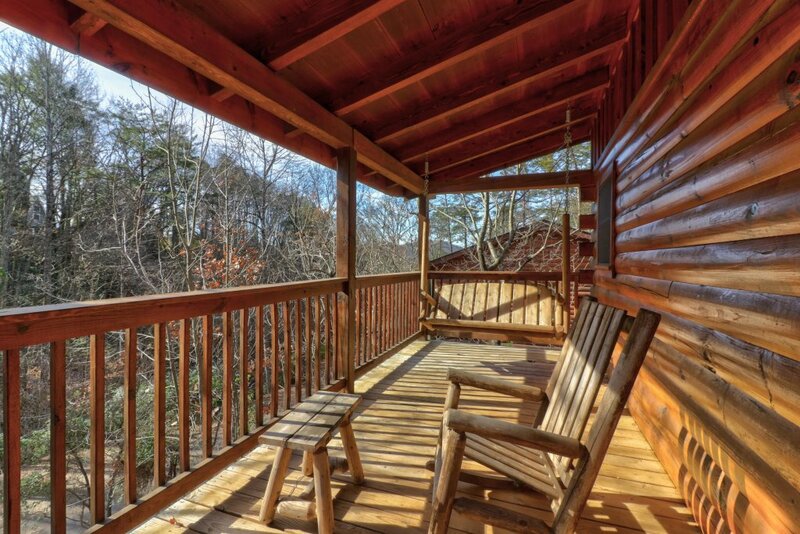 This three-level log cabin, nestled in the trees less than a mile from downtown Pigeon Forge, is an excellent vacation destination for families and friends. 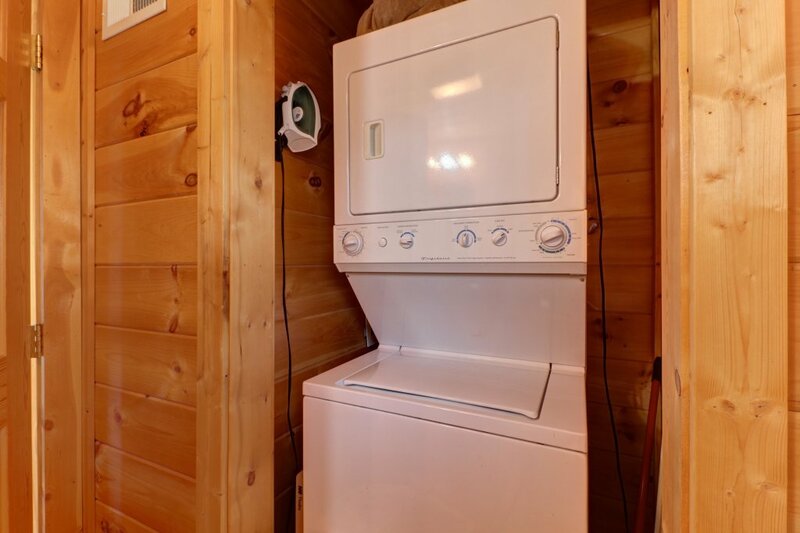 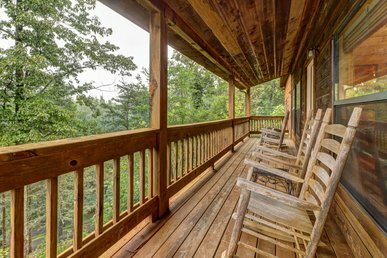 The beautifully maintained cabin offers two separate decks (one with a private hot tub) as well as a porch off the kitchen for outside grilling. 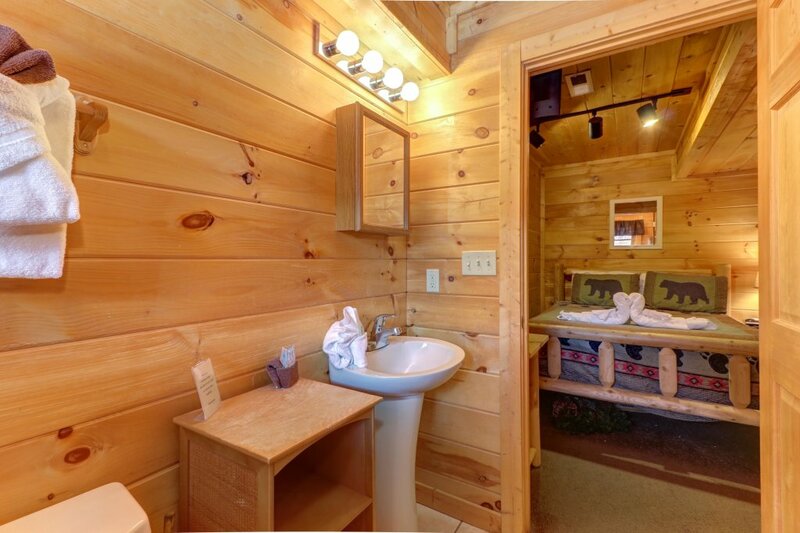 Each of the two king bedrooms has an adjoining bathroom with shower. 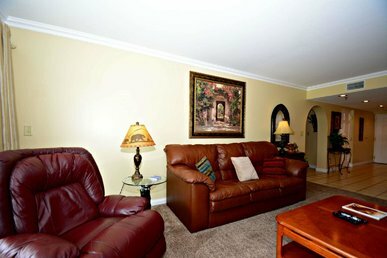 There’s also a sofa bed in the living room, with another half bath off the kitchen. 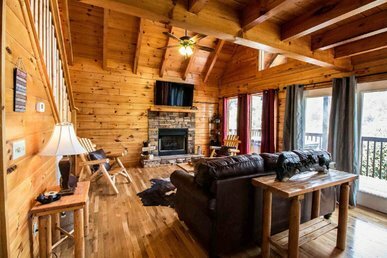 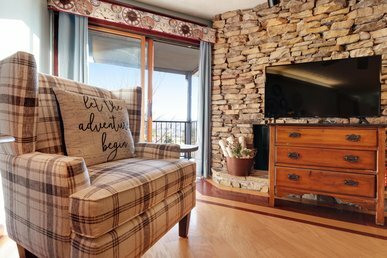 Curl up in front of the gas fireplace in the living room with a book or watch a movie on one of the four flatscreen TVs. 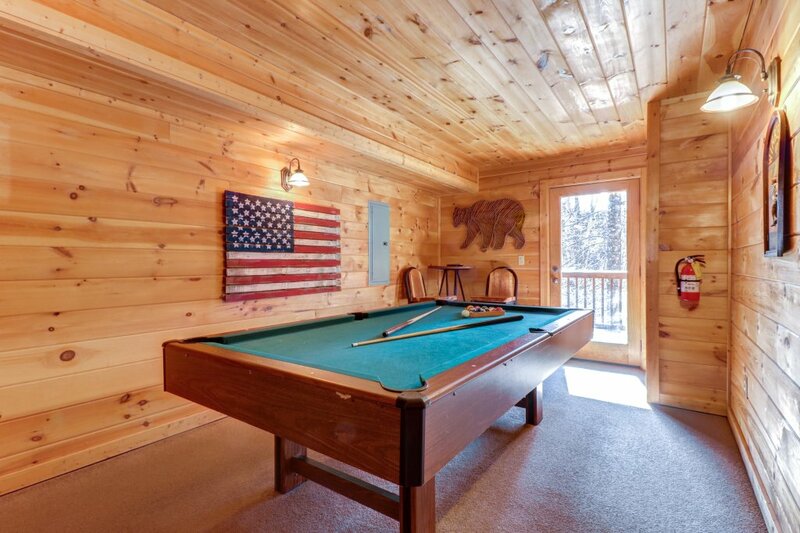 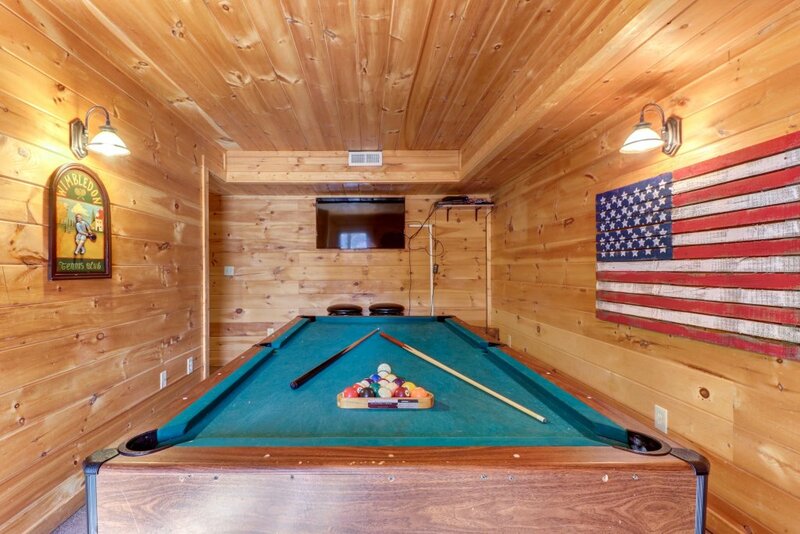 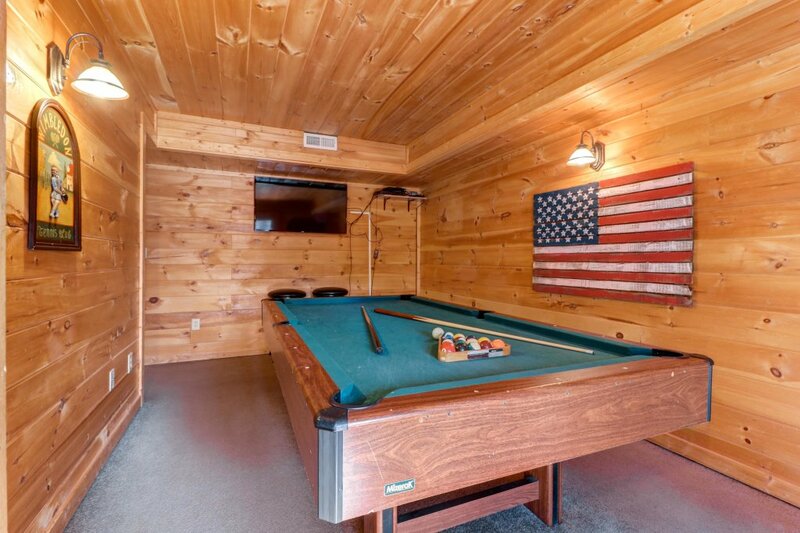 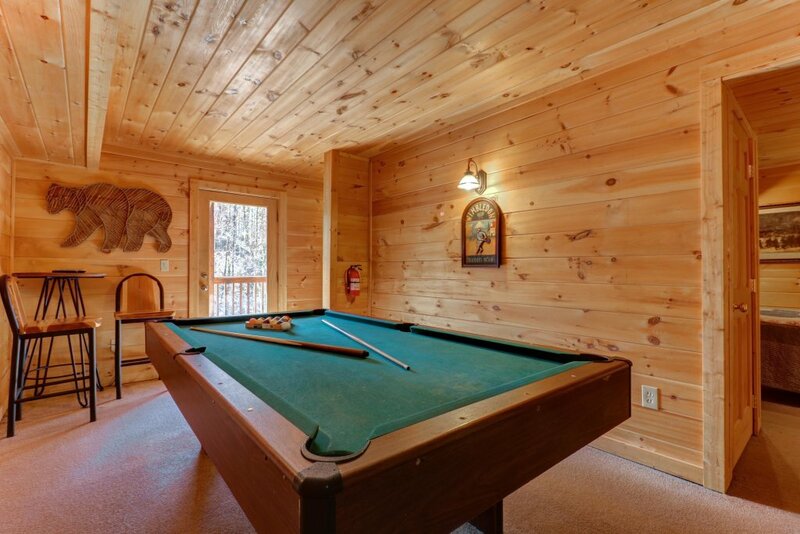 Soak in the hot tub or shoot some pool and watch the game on the screen in the downstairs game room. 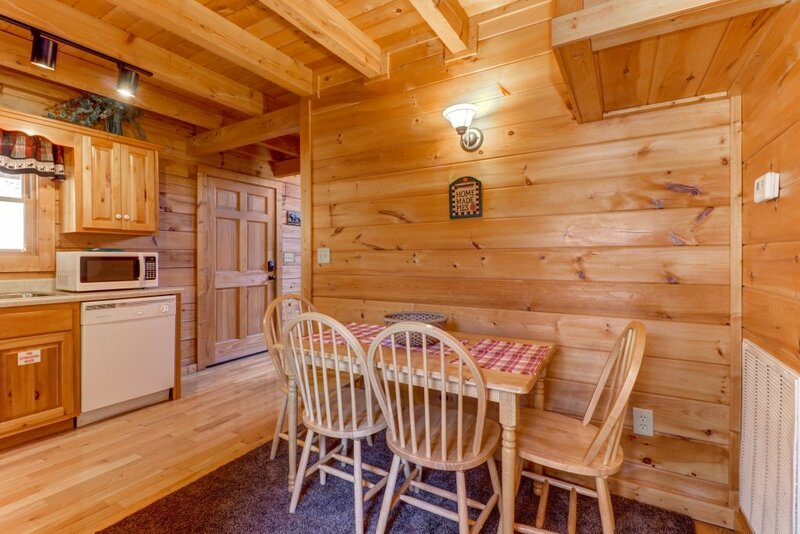 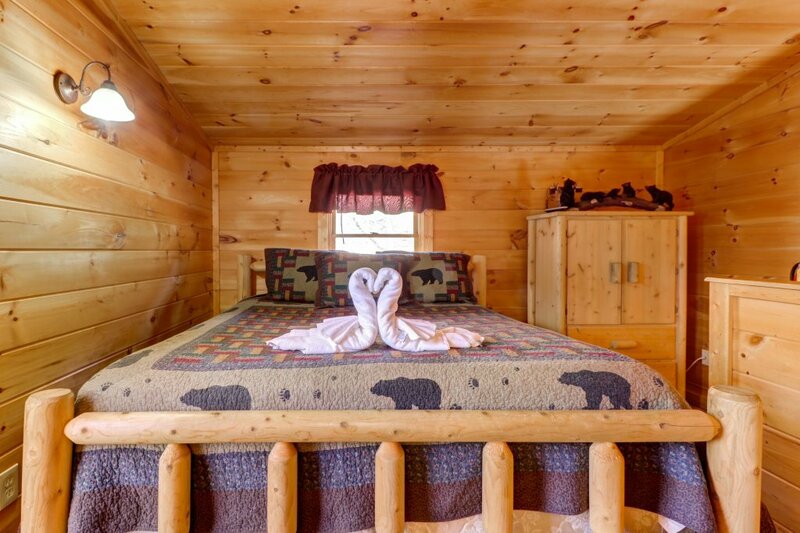 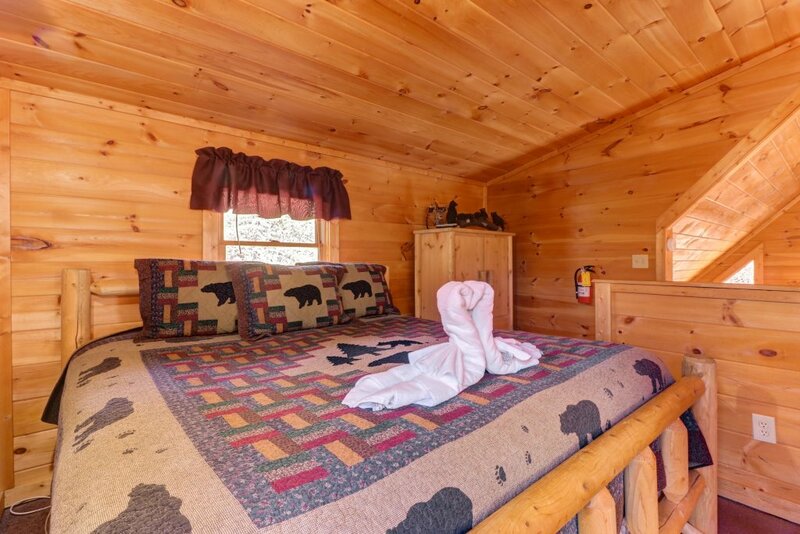 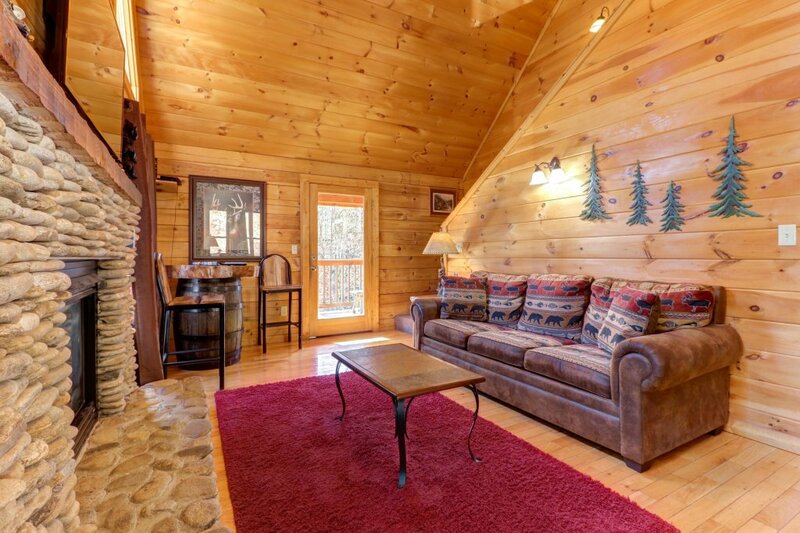 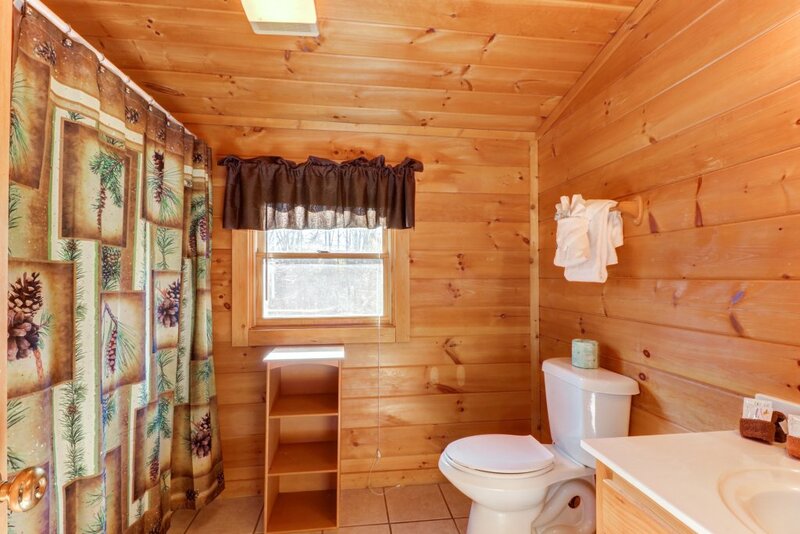 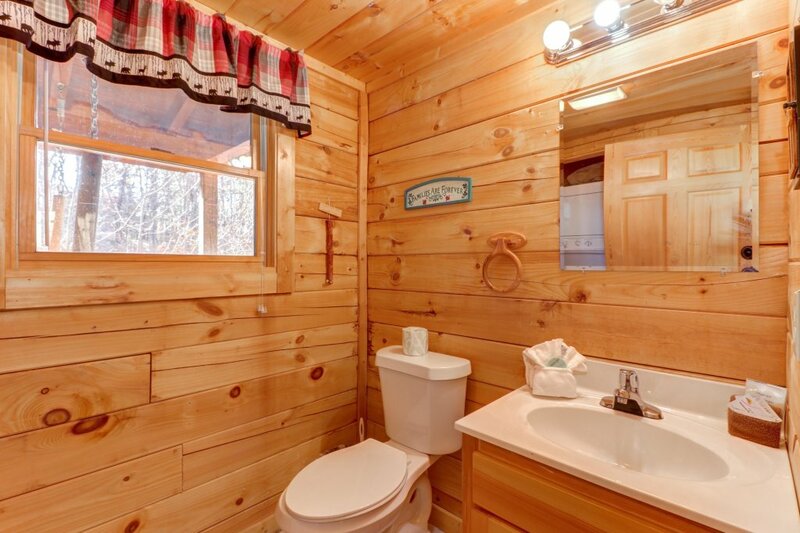 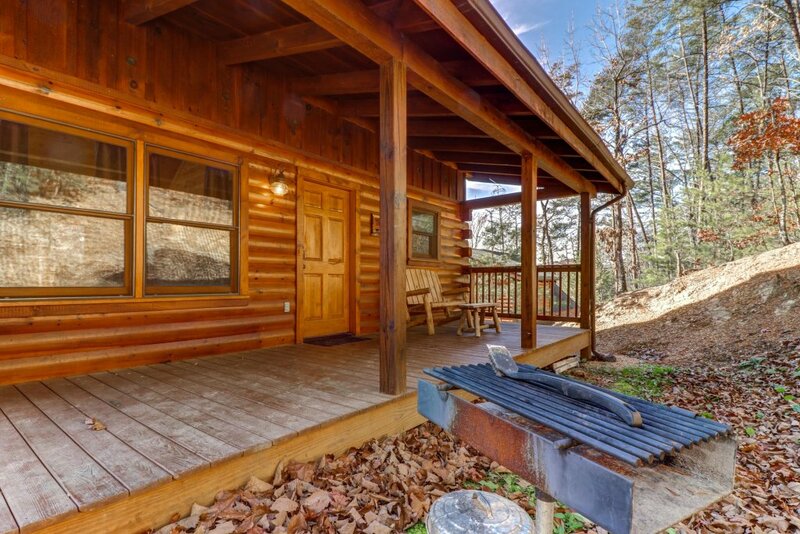 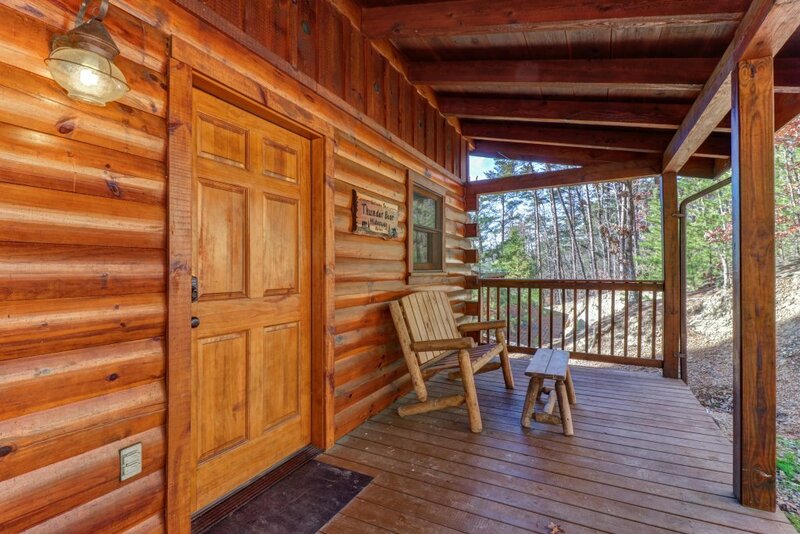 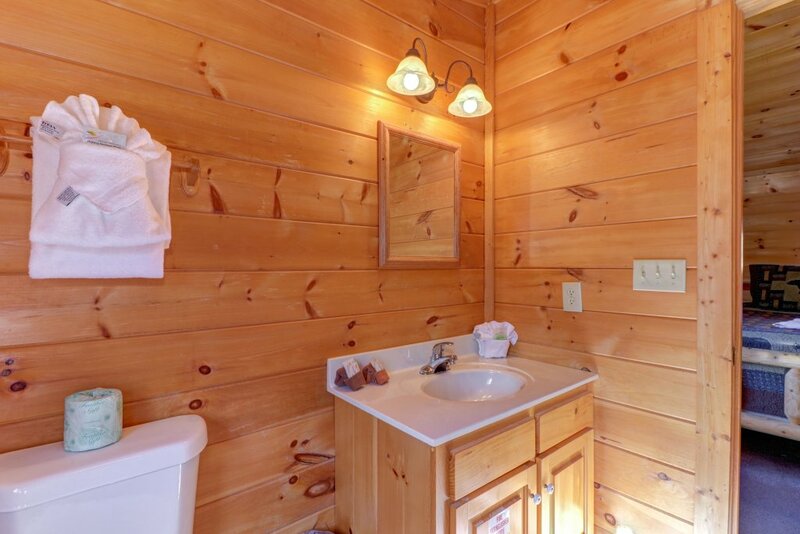 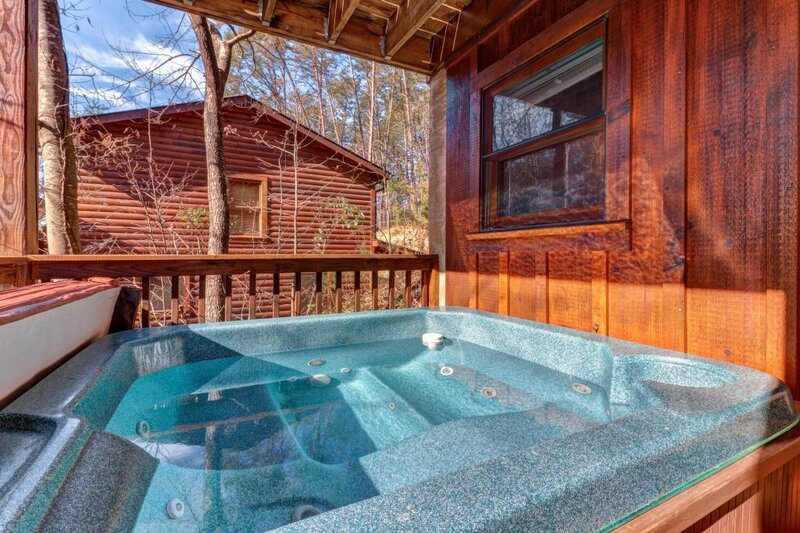 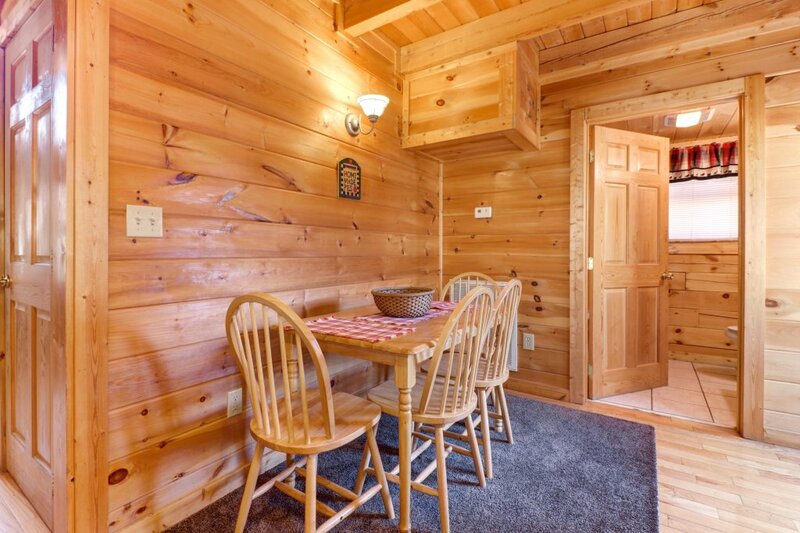 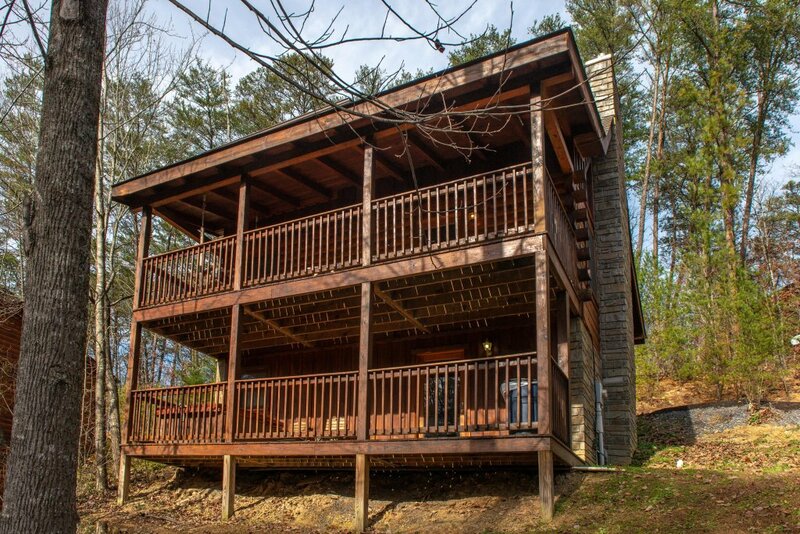 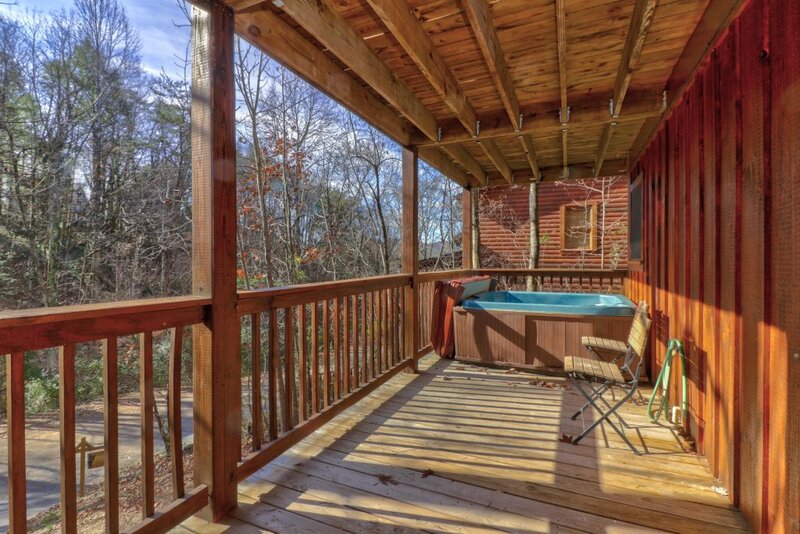 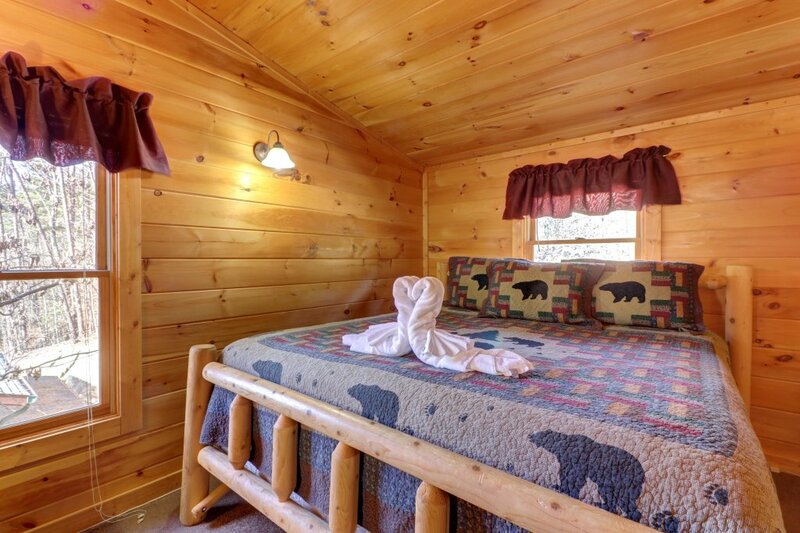 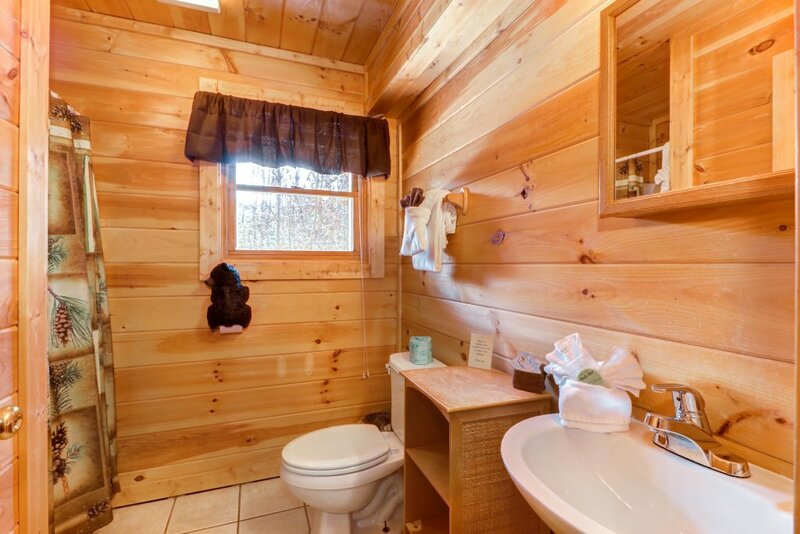 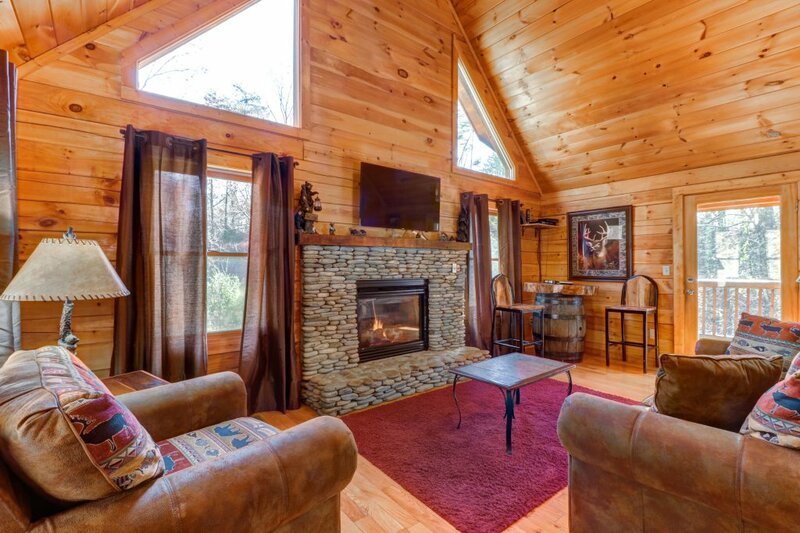 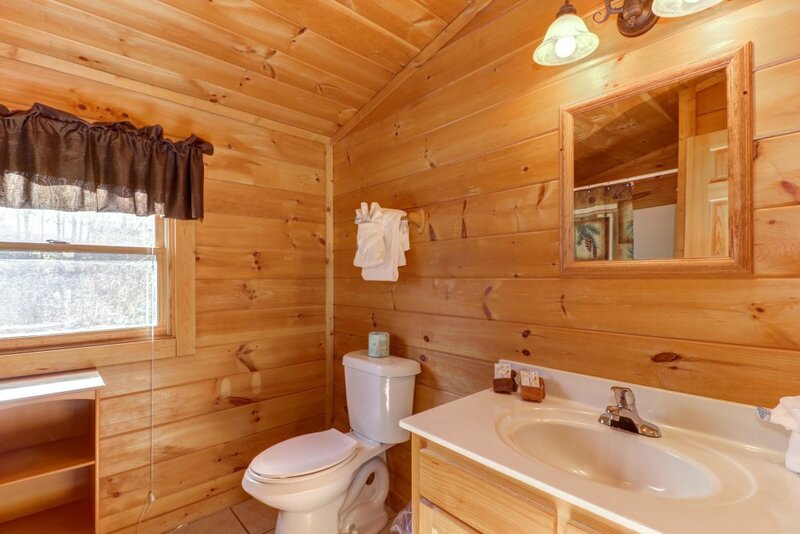 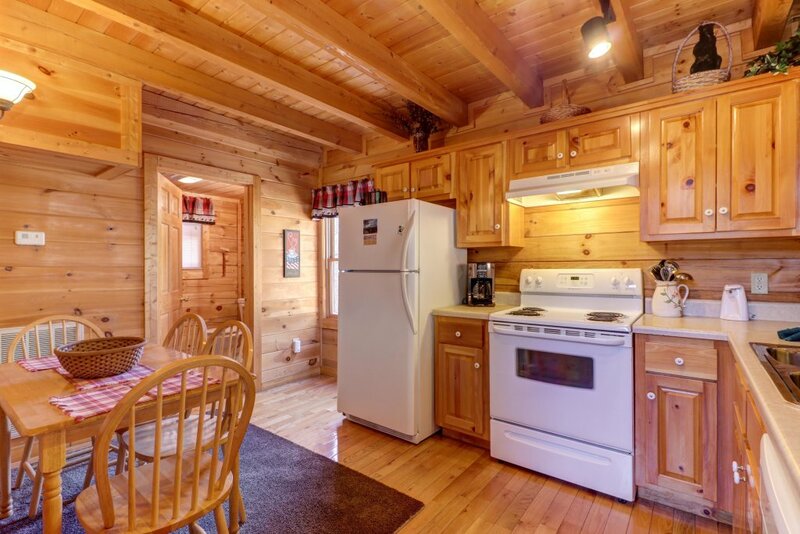 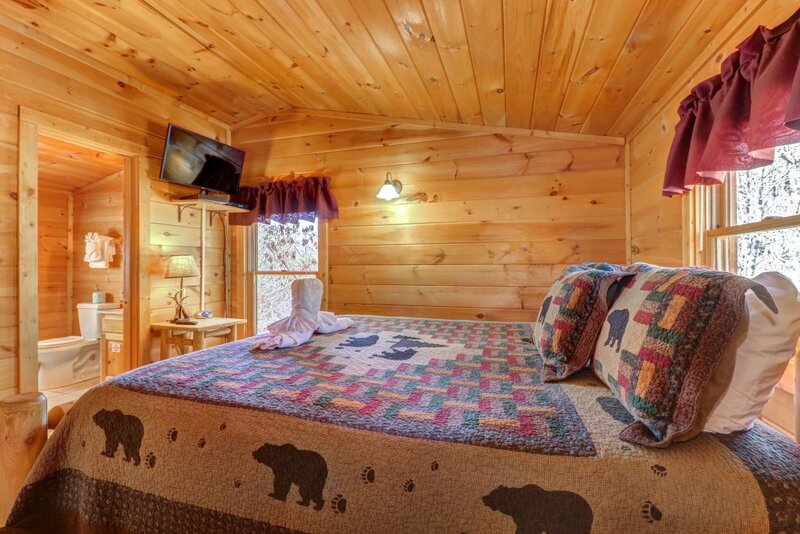 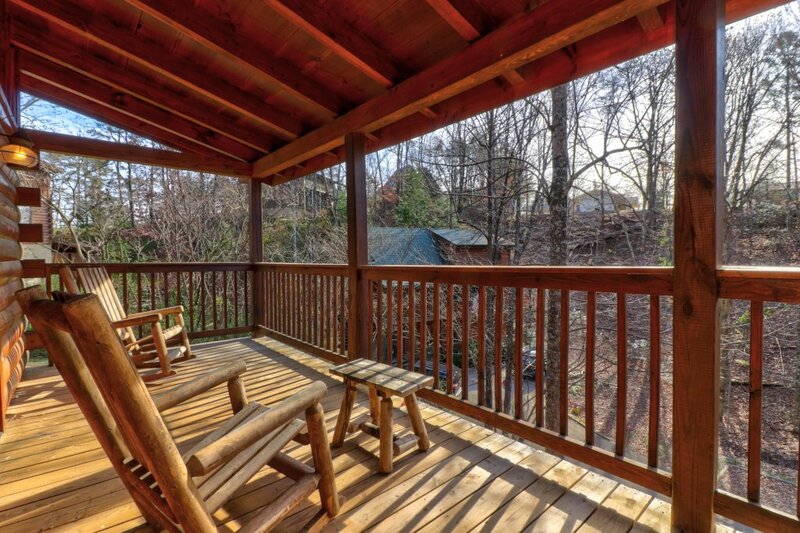 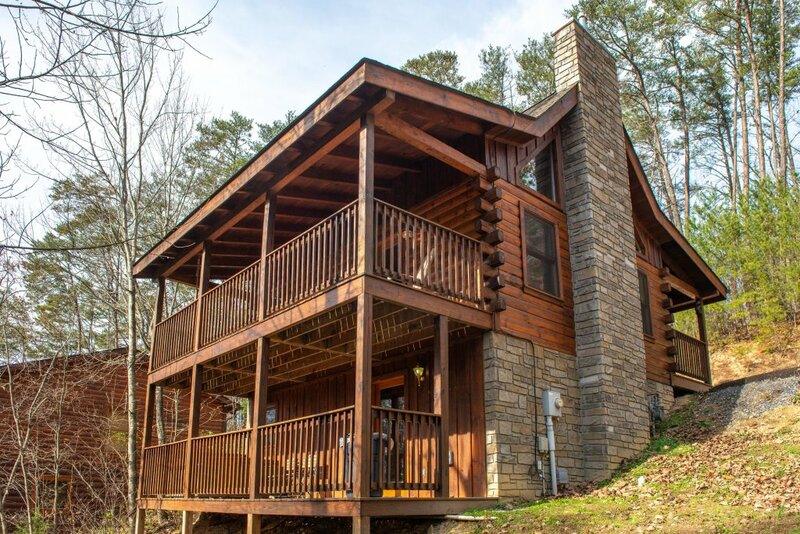 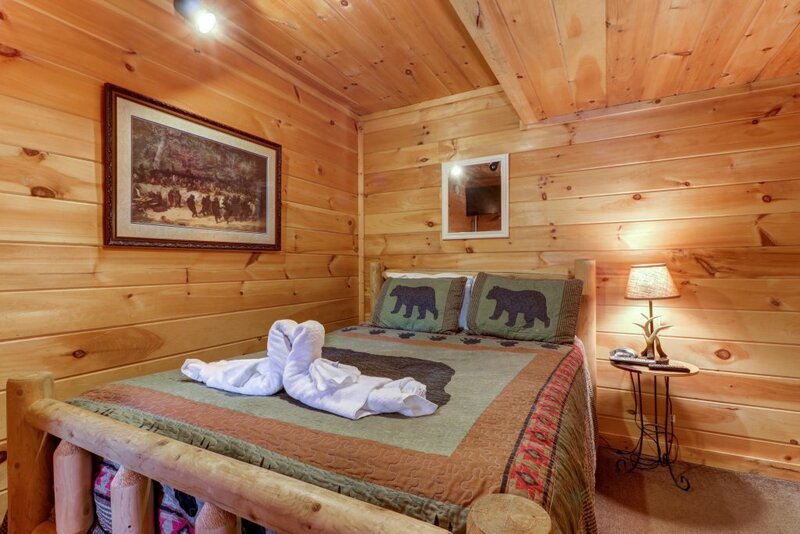 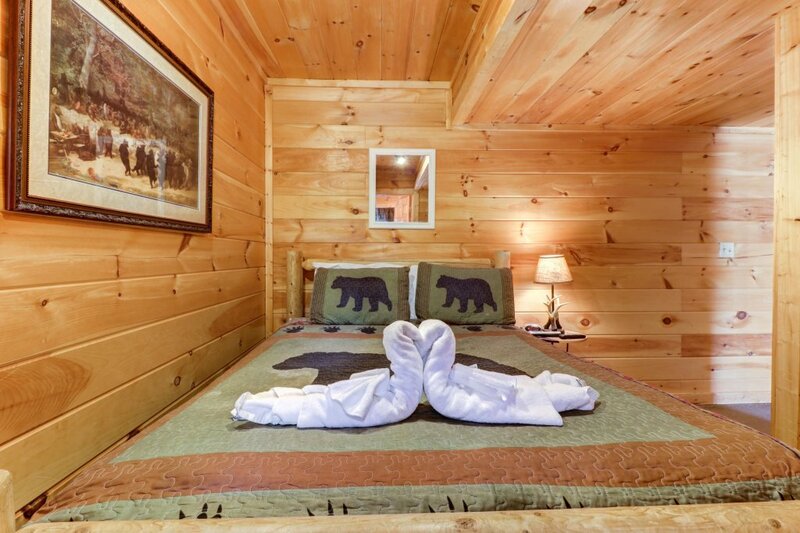 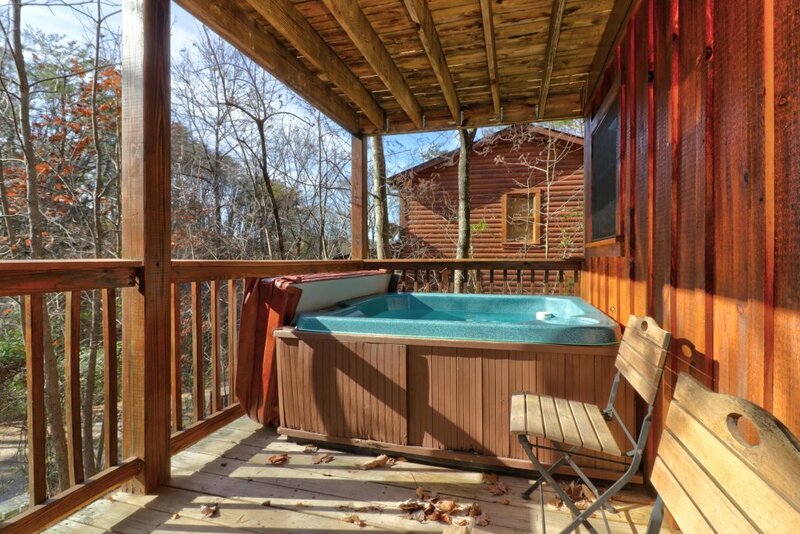 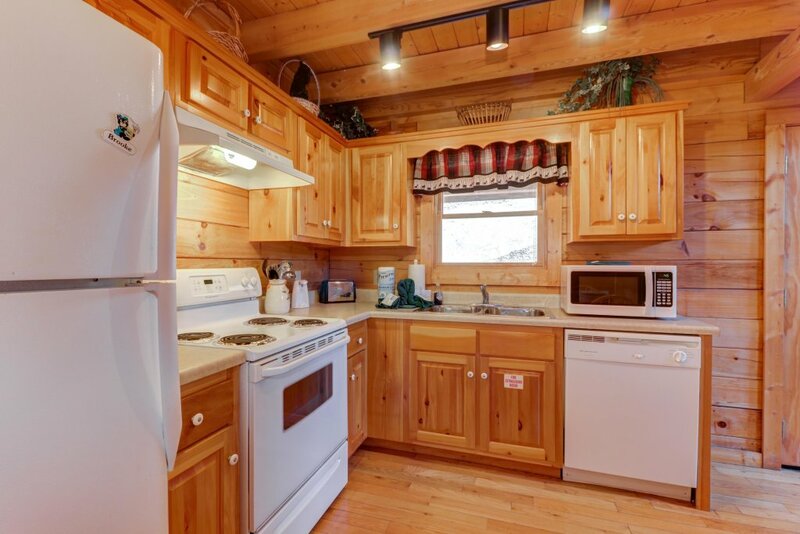 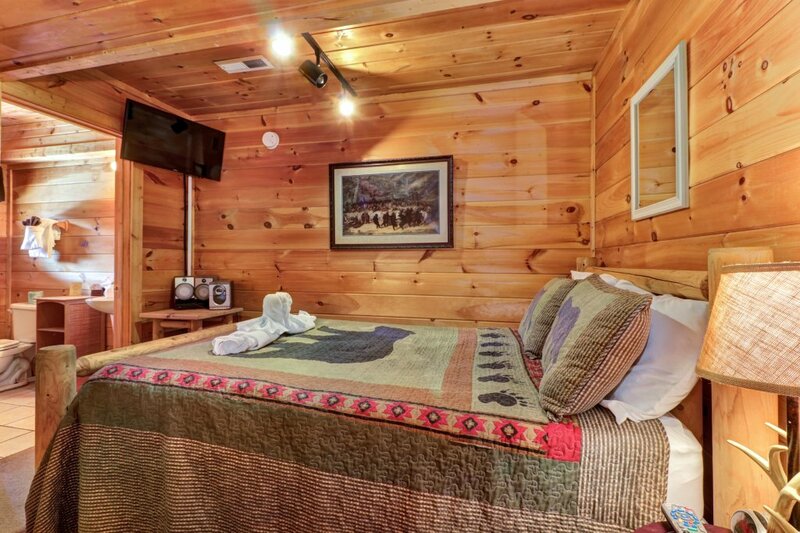 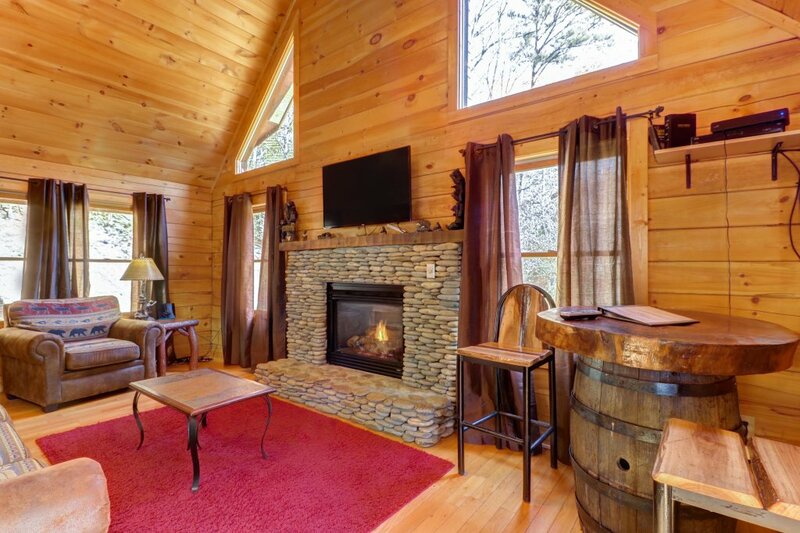 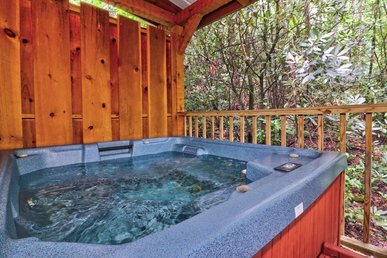 When you’re ready to leave this relaxing woodland setting, you’ll love that the cabin is less than a mile east of the Parkway in downtown Pigeon Forge, so you’re just minutes away from all the action! 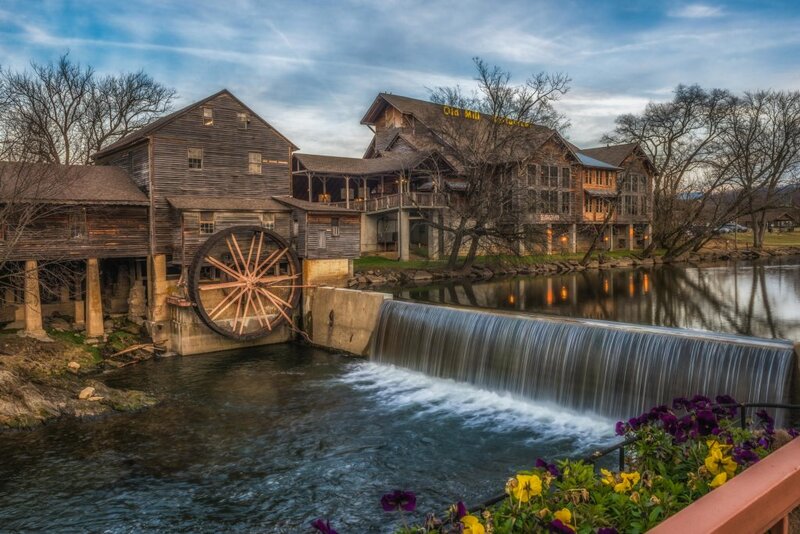 The Old Mill District and the Trolley Station at Patriot Park is a 15-minute walk from the cabin. 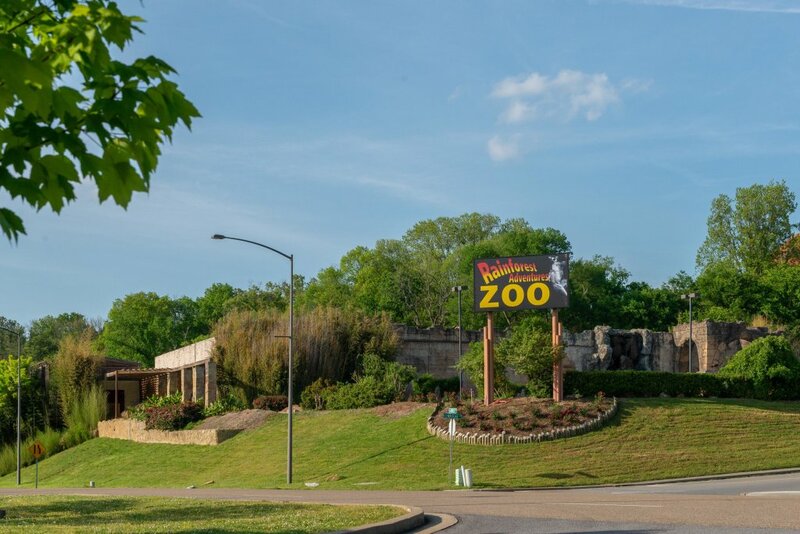 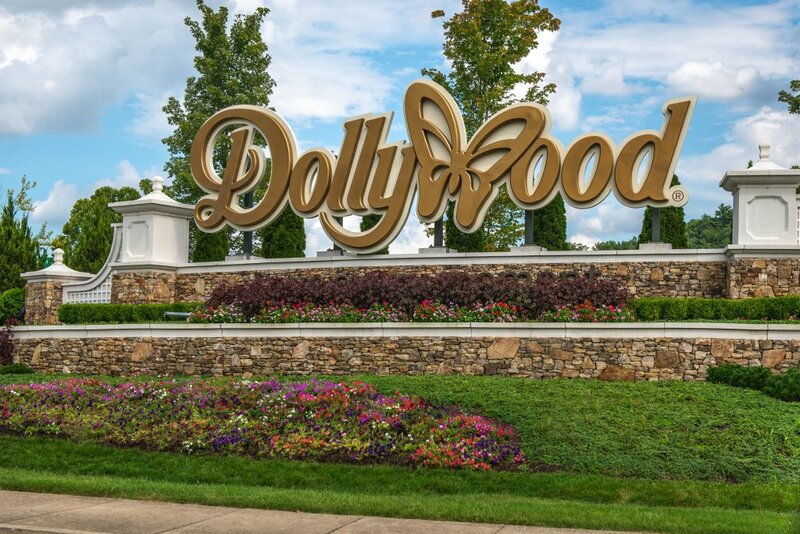 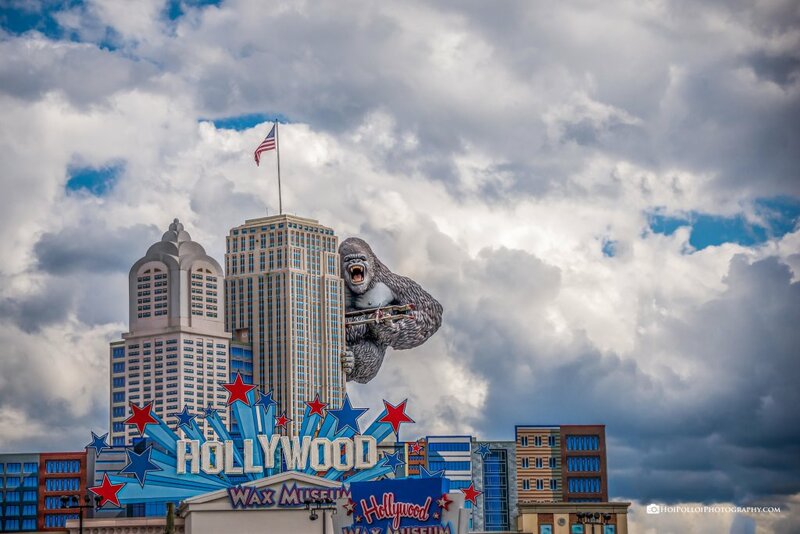 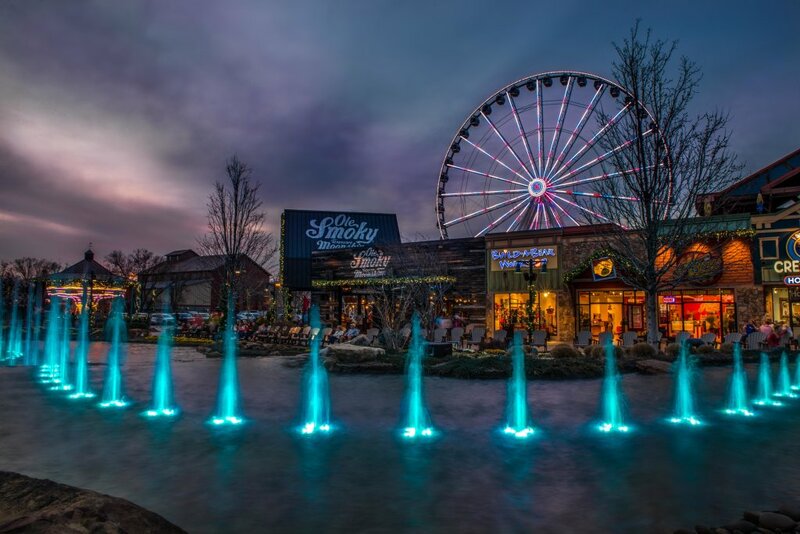 You can ride the coasters at Dollywood (three miles east), walk the halls of the Hollywood Wax Museum (three miles northwest), and round out your day at one of several dinner theaters, music venues, and comedy clubs. 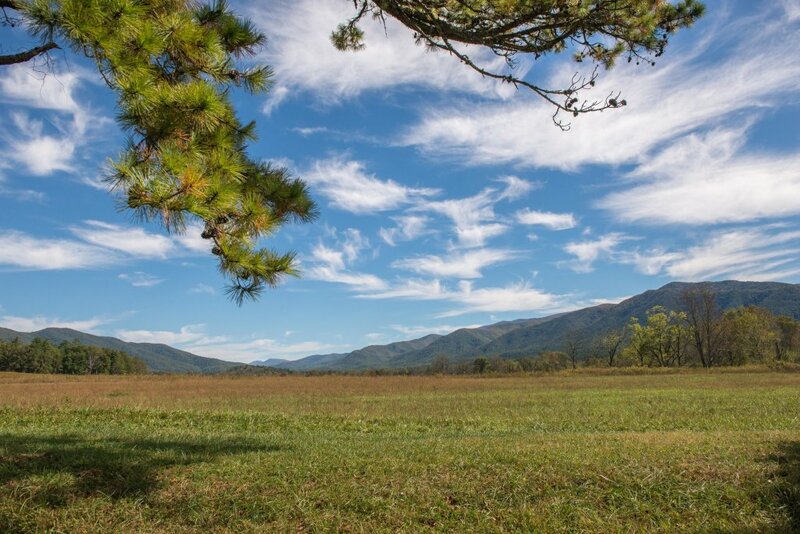 Outdoor enthusiasts will also find incredible trails, streams, meadows, and sweeping vistas in Great Smoky Mountains National Park, nine miles south.